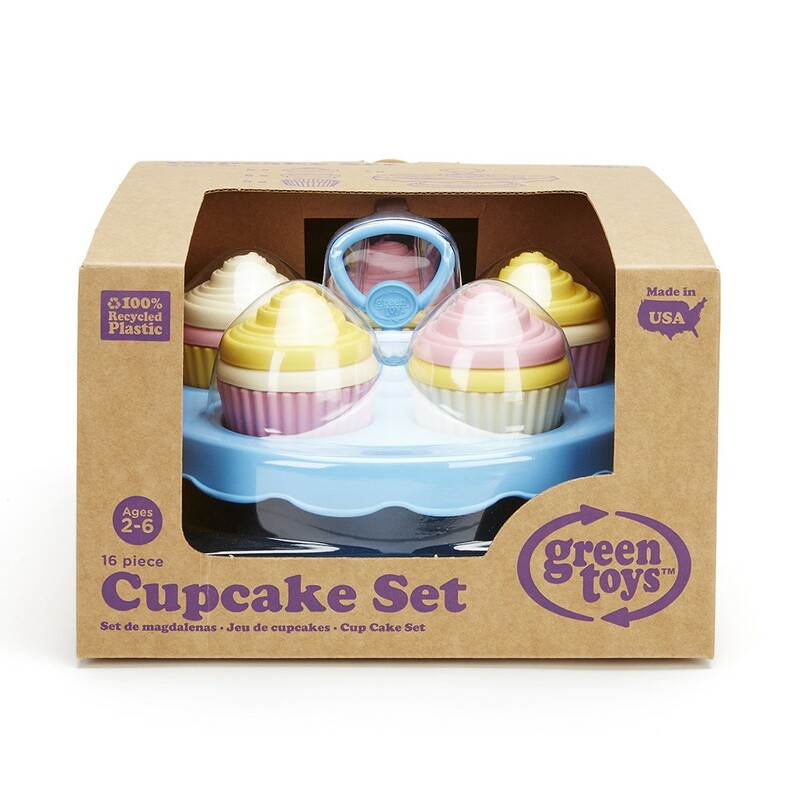 Use your imagination to whip up a batch of delicious pastel cupcake with the Green Toys™ Cupcake Set! 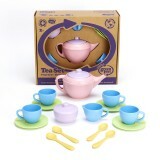 This set helps little bakers practice their colors and counting, develop fine motor skills, and host make-believe cupcake parties for their stuffed animals and friends. Includes 16 mix-and-match pieces with frosting, cakes, and cupcake liners for 5 complete cupcake stacks, plus an adorable cake stand to display their creations. Perfect for presentation and storage, the cake stand can even be used to serve actual cupcakes, as it meets FDA food contact standards. 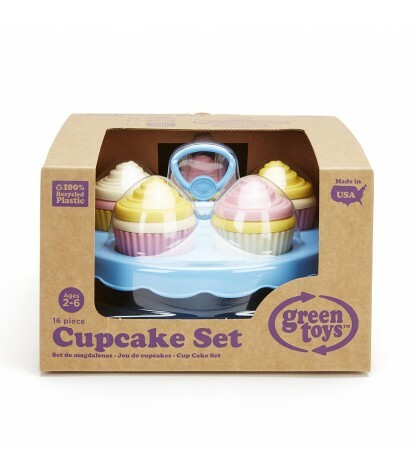 Get to baking with the Green Toys™ Cupcake Set! 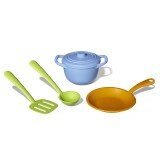 Dishwasher Safe & Food Safe.